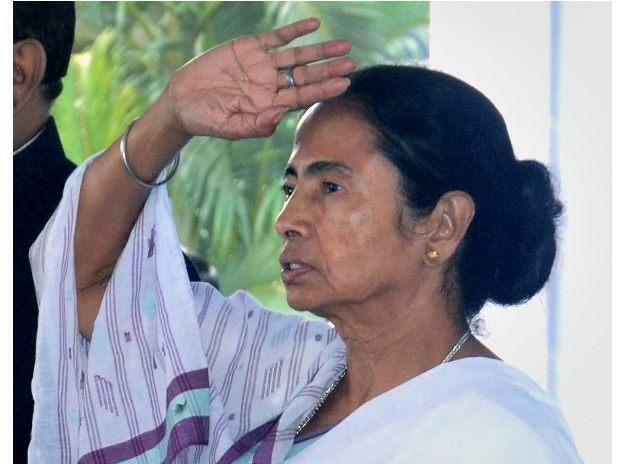 With an eye on Delhi, the Trinamool Congress (TMC) is all geared up for Saturday's "united opposition rally", which party supremo and West Bengal Chief Minister Mamata Banerjee said would sound the "death knell" for the BJP in the coming Lok Sabha polls. Leaders of over 20 opposition parties are expected to attend the rally at the iconic Brigade Parade Ground here on Saturday to vow to put up a united fight against the "misrule" of the saffron party. The TMC hopes to use the rally as a platform to prop Banerjee as a leader who can "take along other parties" and challenge the ruling Bharatiya Janata Party (BJP) after the general election. Banerjee, the brain behind the mega opposition rally, on Thursday said the regional parties would be the deciding factor in the Lok Sabha polls. "It will be a 'United India Rally' against the misrule of the BJP. It will sound the death knell for the BJP ... The saffron party's seat count in the general election will not cross 125. The number of seats the state parties will win will be much higher than that of the BJP's. "The federal parties, that is the regional parties, will be the deciding factor after the elections," she claimed. Chief ministers Arvind Kejriwal, H D Kumaraswamy, N Chandrababu Naidu, former prime minister H D Deve Gowda, former chief ministers Farooq Abdullah, Omar Abdullah and Akhilesh Yadav, Rashtriya Janata Dal (RJD) leader Tejashwi Yadav, Dravida Munnetra Kazhagam's (DMK) M K Stalin, besides dissident BJP MP Shatrughan Sinha are among those billed to attend the mega rally. Leader of Opposition in the Lok Sabha and Congress leader Mallikarjun Kharge and his party colleague Abhishek Manu Singhvi will also take part in the rally. Bahujan Samaj Party (BSP) general secretary Satish Chandra Mishra, Nationalist Congress Party (NCP) supremo Sharad Pawar, Rashtriya Lok Dal's (RLD) Ajit Singh, former Union ministers Yashwant Sinha and Arun Shourie, Patidar leader Hardik Patel, Dalit leader Jignesh Mevani and Babulal Marandi of the Jharkhand Vikas Morcha will also be present on the stage alongside the TMC supremo. Former Arunachal Pradesh chief minister Gegong Apang, who quit the BJP on Tuesday, is also set to attend the meet. The rally will, however, miss the presence of Congress president Rahul Gandhi, United Progressive Alliance (UPA) chairperson Sonia Gandhi and BSP supremo Mayawati. They have deputed senior party leaders to attend the programme. The three politicians had attended the swearing-in ceremony of Karnataka Chief Minister H D Kumaraswamy last year. According to state Congress sources, the party unit was not very keen on Kharge and Singhvi attending the rally as it would send a wrong message to its workers who are fighting against the TMC in West Bengal. The Communist Party of India (Marxist), along with the other Left parties, has decided to give the rally a miss. Asked to comment on Mayawati skipping the rally, Banerjee said BSP's "senior leader Satish Chandra Mishra will be attending, which is a big thing for us". About the TMC's ambitions in the national arena, a senior party leader said, "Nobody can deny that Mamata Banerjee is one of the most popular Opposition leaders in the country and can take others along with her to fight the BJP. She has experience both as a (former) central minister and as a chief minister. The rest is for the people to decide." Several top TMC leaders, during the campaign meetings for the rally, had claimed that the "people are waiting for Mamata Banerjee" and urged the party workers to ensure that the next government at the Centre was formed under her leadership. The BJP leadership predictably mocked the rally, saying the Opposition should first decide on its prime ministerial candidate and then think of ousting Narendra Modi and the ruling party.